Yours For Just $297!Thank you for trying out Weiss Ratings’ Under-the-Radar Stocks investment advisory service 100% RISK-FREE for the next 60 days. Our Top 3 Under-the-Radar Stocks (Revealed In Our September Launch Issue) – This comprehensive yet easy-to-understand guide will provide you with greater detail about our analysts’ Top 3 Under-the-Radar Stocks to invest in that could provide you with triple-digit gains over the next 12 months. You won’t find this research anywhere else, because as I mentioned earlier – most of these stocks have only one analyst (at most) on Wall Street actively covering them. Monthly Under-the-Radar Stocks Report And Market Commentary – Each month, you’ll receive a report from our team of analysts that cover Under-the-Radar Stocks that have the greatest profit potential. They’ll explain which stocks to buy and which ones to sell. They’ll provide commentary to explain trades in greater detail… along with their insights on the financial markets, and an informative Q&A column that answers our readers’ most pressing questions. It will be like getting a doctorate degree in Finance… only our team simplifies the information in a way that anyone can understand. And before long, don’t be surprised if others start listening in on your commentary on investments at dinner parties and other social events… and start asking you for advice! First-class customer service. If you ever have a problem or a question, our Subscriber Services staff is here to help. Send us a quick email or call us toll-free. No matter which you choose, we’ll do everything we can to make you happy. My zero-risk guarantee. I want you to be 100% satisfied with our Under-the-Radar Stocksresearch. That’s why I’m giving you a full 60 days to try it out and see everything it has to offer. If you aren’t happy, let us know and we’ll quickly issue you a full refund. In the future, a ONE-YEAR subscription to our Under-the-Radar Stocks investment advisory service will cost new members $595. However, as part of this limited-time offer – you’ll receive a HALF-OFF discount and pay only $297. That comes to less than $25 a month, making it affordable to even the most price-conscious investor. That’s a whopping $695 discount off the two-year retail price of $1,190. Or… if you’re among a small group of our readers who like getting the most value for their money, we’re offering a lifetime subscription option for just $999. And given the profit-potential of these Under-the-Radar Stocks, just one of these investments could completely pay for your membership… and much, much more. 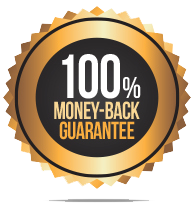 Simply choose whichever one you feel makes the most financial sense to you, and you’ll still be covered by our 100% RISK-FREE 60-day money-back guarantee! Your Weiss Ratings’ Under-the-Radar Stocks membership is covered by our automatic-renewal benefit to make sure you never miss a trade opportunity. When your membership is up for renewal, we will notify you first, then, with your permission, bill your credit card for the renewal rate available. You may cancel this automatic renewal benefit anytime during your membership.